A portion of the profits from this original, 100% Virginia made product go to fighting human trafficking. 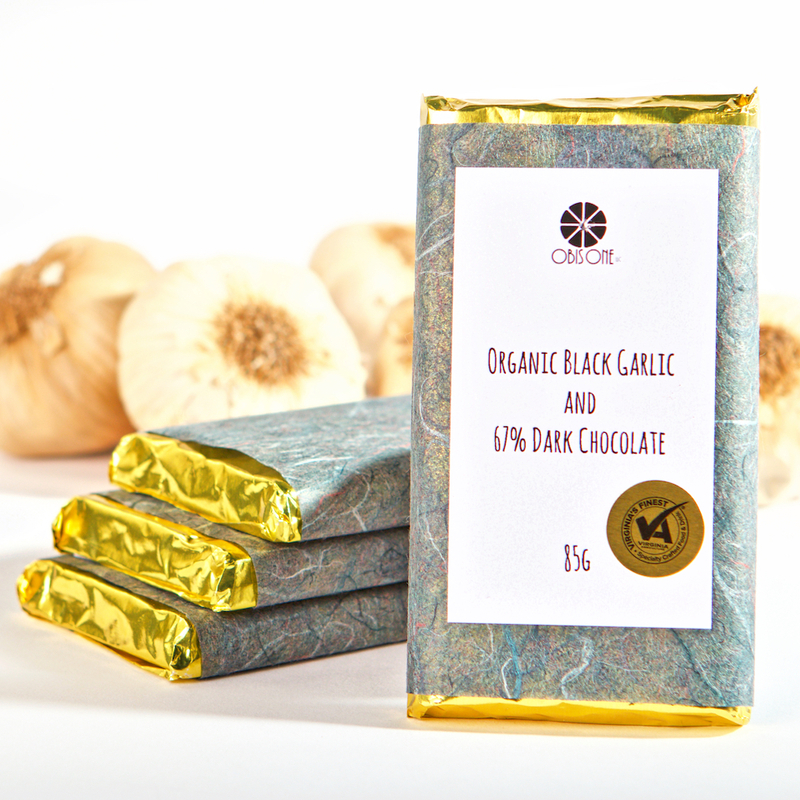 Our organic black garlic imparts a sweet and savory flavor, allowing for a great, fruity finish to this highest-quality 67% dark chocolate. No garlic breath here, just a highly innovative flavor bomb with twice the antioxidants of regular white garlic. Upscale artisan paper wrappers and info hang tags is just another way we care about your experience with ObisOne. Thanks Friends!